My beach vacation wouldn’t be complete without a little time dedicated to decorating my planner. 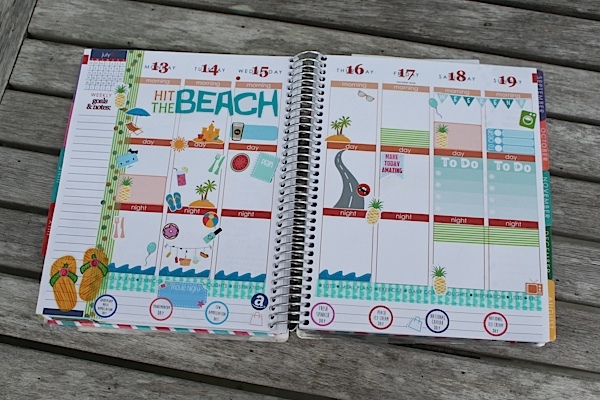 So, I filmed a quick Plan with Me Beach Theme in my Erin Condren Life Planner for July 2015. I think because my work life is so scheduled, when I’m on vacation, I prefer to go with the flow. 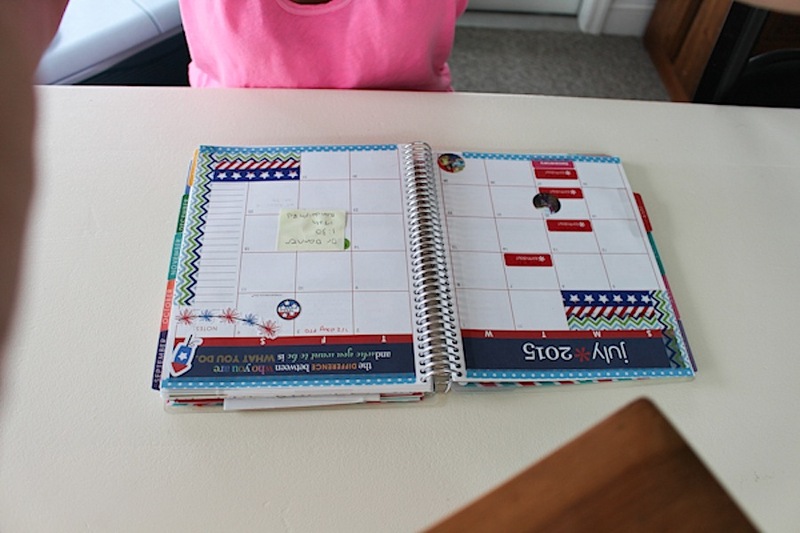 So, my planner decorations were less about planning things out and more about journaling what happened. I like being able to look back on the pages later to see what fun things we did. 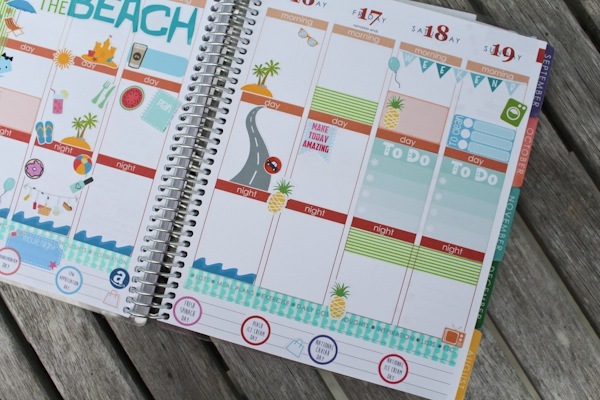 I did leave space on the right side for more true planning. And after filming the video, I did spend a few minutes writing in the associated details. At least what I had done or planned at that point. 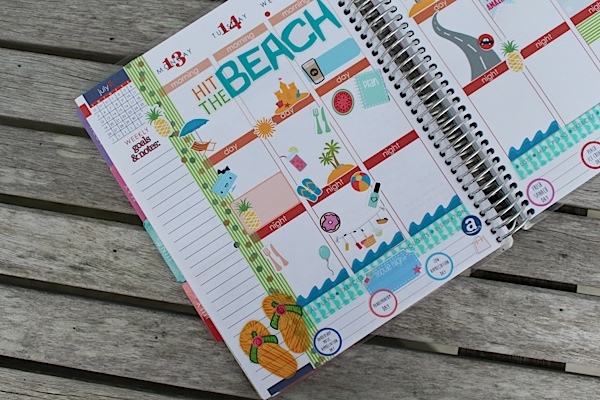 I had a lot of fun doing this beach theme. I literally filmed this at the beach house with the majority of my family around, so I did my first try at a voiceover. Let me know if you prefer me talking with the planning or doing voiceover later. I think one downside of editing this was it took much longer. But, the upside is that I made it a lot shorter overall since it was easier to cut out the excess footage. Also, sorry for the weird camera angle. I managed to bring my tripod to the beach but left the connector piece at home. Doh! So, I had to get a little MacGyver up in the beach house to figure out a way to get the camera to point down. I had the camera strap held up by this metal decoration piece on the dining room table, which was propped on a wooden box. And the camera was sort of tied down with a plastic bag since I couldn’t find string. I posted a photo of this hilariousness on Snapchat. It wasn’t perfect, but it worked okay. 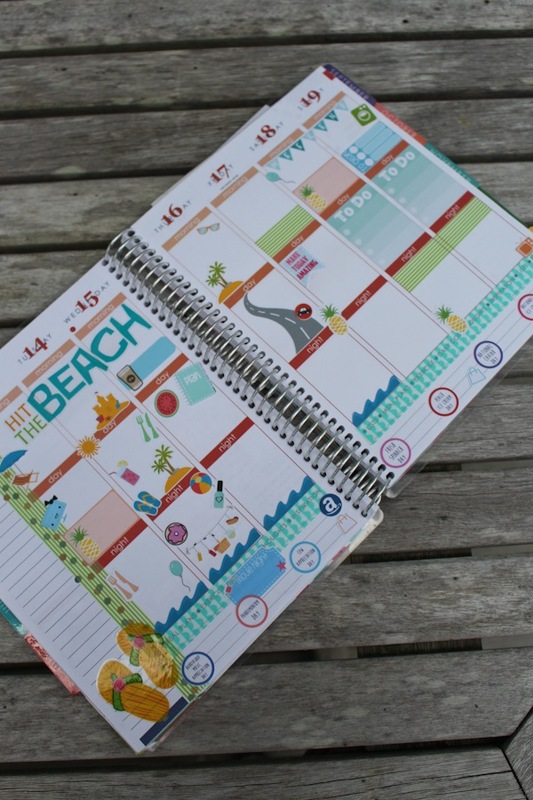 Hope you liked my Plan with Me: Beach Theme (Erin Condren | July 2015).